... Morning! I hope you're all enjoying your weekend. Yesterday was absolutely beautiful with bright blue skies and brilliant sunshine, sadly it was only about -1C (30F) at midday!! Today looks like it's going to be warmer, but a bit greyer! I had fun in my craft room yesterday making some more Christmas cards for my stash. I'm submitting this card to Merry Monday Challenge - MM#237 where they want to see shimmer and sparkle. I think this works. 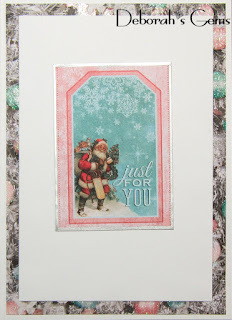 The layout is based on our sketch at Christmas Card Throwdown - CCT05. 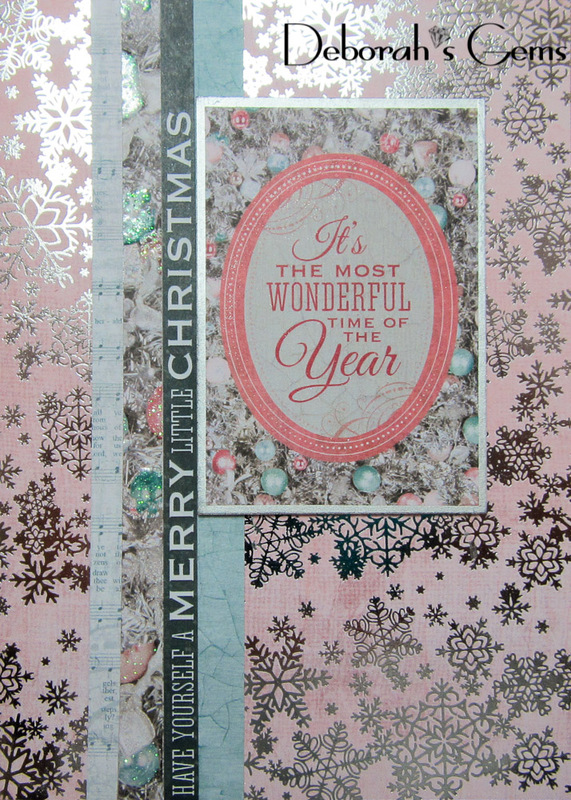 Once again there's no stamping on the card, I just used up some of the paper scraps from the Silver Bells pad. 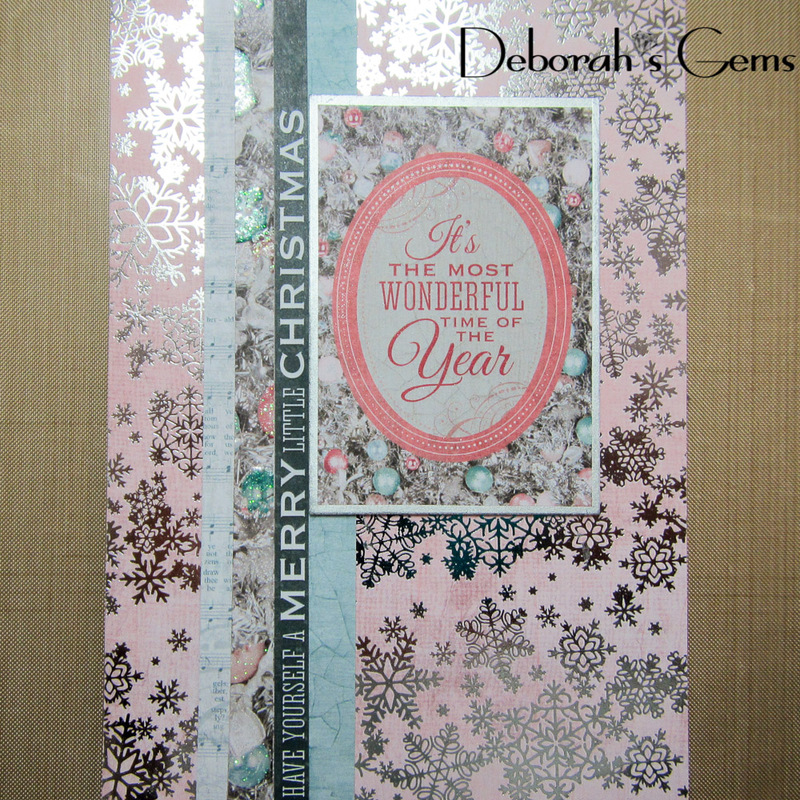 I covered the base with two pieces of pink paper covered with shimmery silver snowflakes. 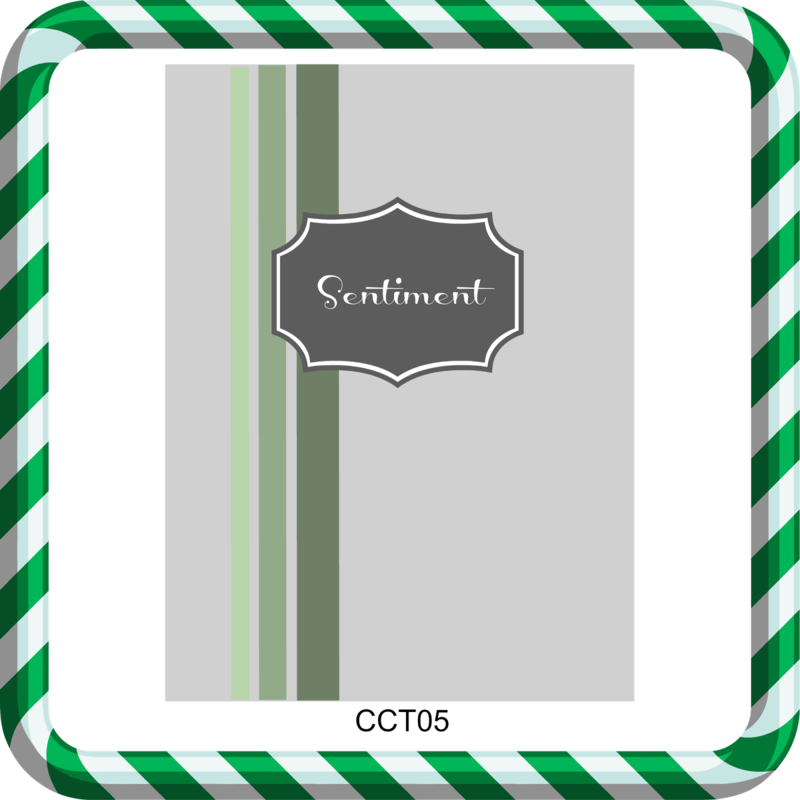 I added four stripes of co-ordinating paper - one of which has a greeting. 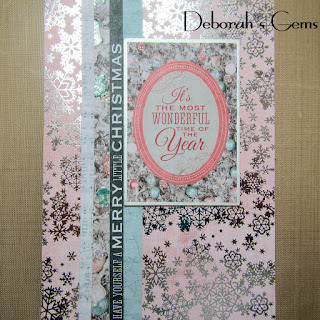 I finished the front with a rectangular greeting panel that I edged with a silver pen. I attached it with dimensional tape. On the inside I used another piece of design paper for the mat layer and on the white panel added a greeting (slightly crooked!). This was such a fun shoot. Kristan had a lovely little girl who is now almost 1½ years old going to show how fast time goes!! 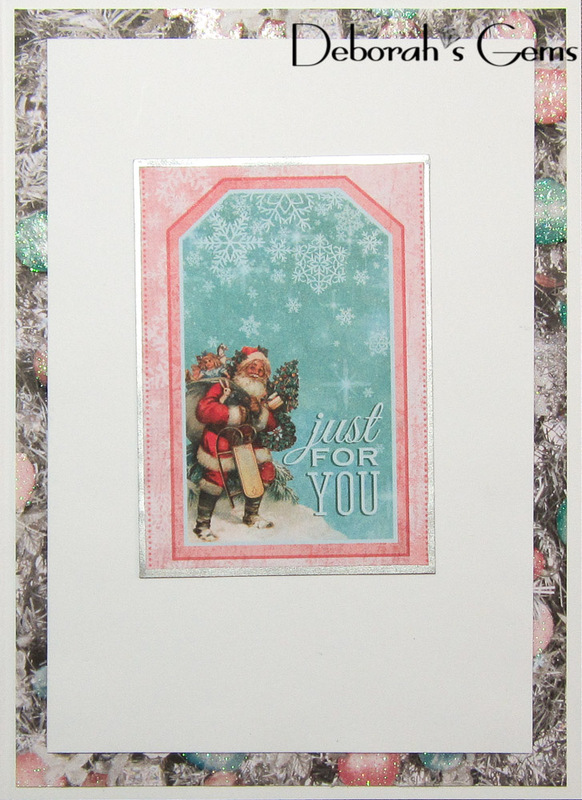 Lovely card, Thank you for joining us for Merry Monday. It's really the only thing to do when it's that cold! That paper is beautiful and deserves to be shown off like this.